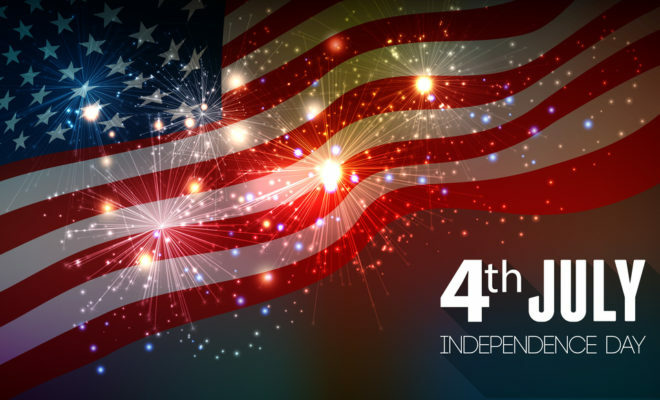 What are you doing to celebrate the 4th of July? How are you celebrating Independence Day? Discover where to watch fireworks, parades, festivals, and more fun events throughout Montgomery County during the week of the 4th of July. Rob Fleming Park will have food trucks, face painting and the country musical stylings of Keeton Coffman throughout the day. Hughes Landing will feature musical entertainment from the ‘70s to the ‘80s by Phatso. Waterway Square Parkwill have concessions, face painting, a balloon artist and entertainment by the Willow Creek Junction. Town Green Parkwill have a wide variety of activities, including strolling entertainers, face painters, balloon artists, inflatables, a kids’ zone, food vendors and two stages for music from the Pictures Band and Uptown Drive. Northshore Parkwill feature face painting, food trucks and musical entertainment by Klockwork Band. This will be the site of the primary fireworks launch location. Fireworks Launch – The 18-minute Fireworks Extravaganza will take place at approximately 9:30 p.m. The primary fireworks display will be located in Lake Woodlands adjacent to Northshore Park, with secondary close-proximity (special effects) display at Town Green Park. 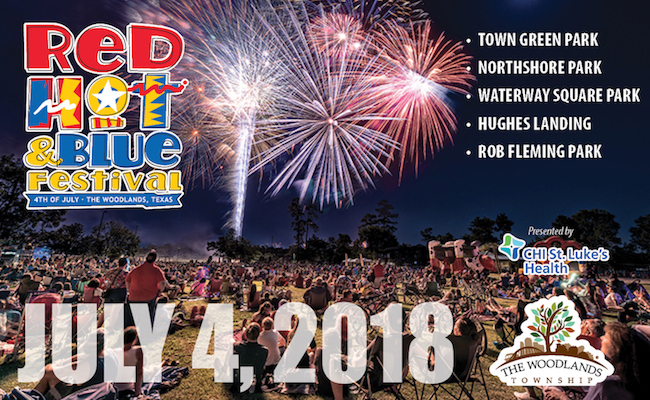 The 2018 Fireworks Extravaganza will also feature a fireworks display in the Waterway Square District near Timberlock Place and Waterway Avenue and Rob Fleming Park in the Village of Creekside Park. Enjoy both the sights and sounds of the Fireworks Extravaganza by tuning into WoodlandsHits.com, which will be broadcasting the choreographed patriotic soundtrack for the 2018 event.